A destination famous for its beaches and laid-back vibe, the Indian state of Goa is a firm favorite with travelers. With plenty of elegant luxury hotels in Goa to choose from, you’re guaranteed a vacation to remember. Goa was under Portuguese rule for four and a half centuries. It’s unsurprising then, that the state’s Portuguese influence is still evident today. Cities like Old Goa, also known as Velha Goa, is a prime example of its colonial rule. 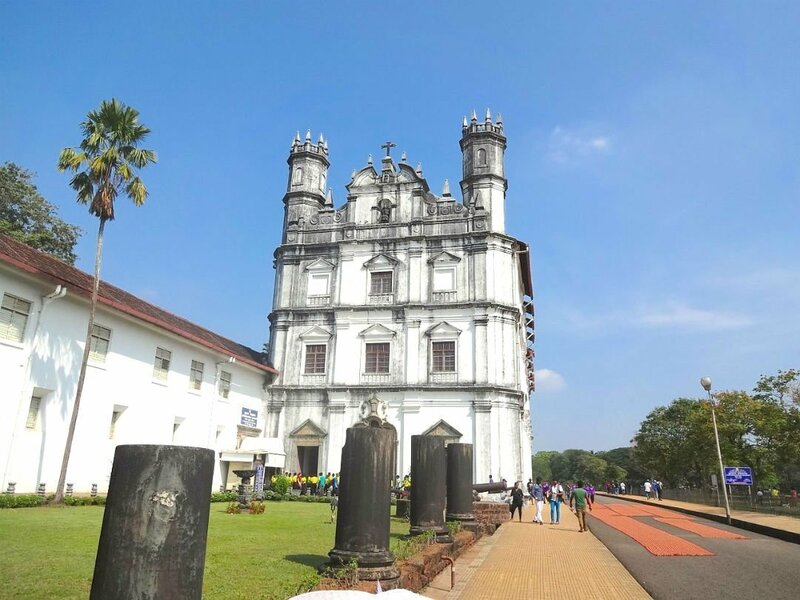 Old Goa was the capital during this period, and you can still see many Portuguese-style churches and cathedrals. Goa is located on the south-west coast of India. Its neighbouring states are Maharashtra to the north and Karnataka to the east and south. 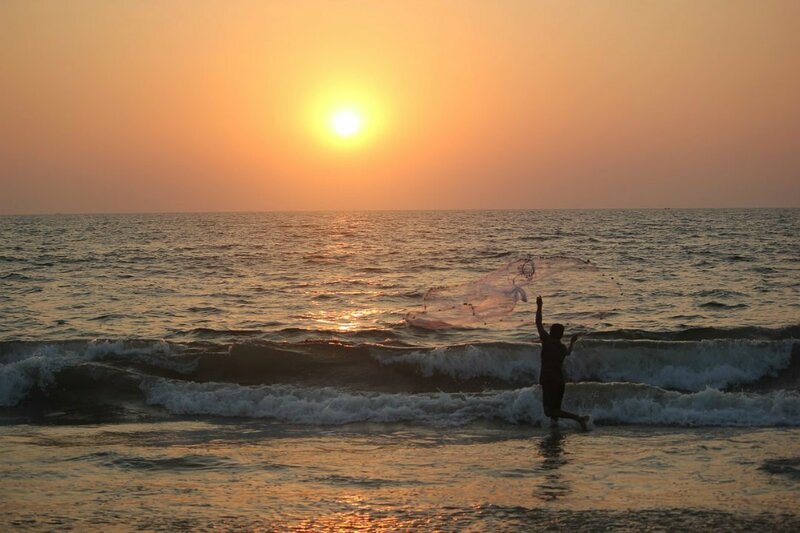 Its boundless number of beaches meet the Arabian Sea, providing much needed respite from the humid temperatures. The nearest — and only — international airport is Dabolim Airport, also known as Goa Airport. 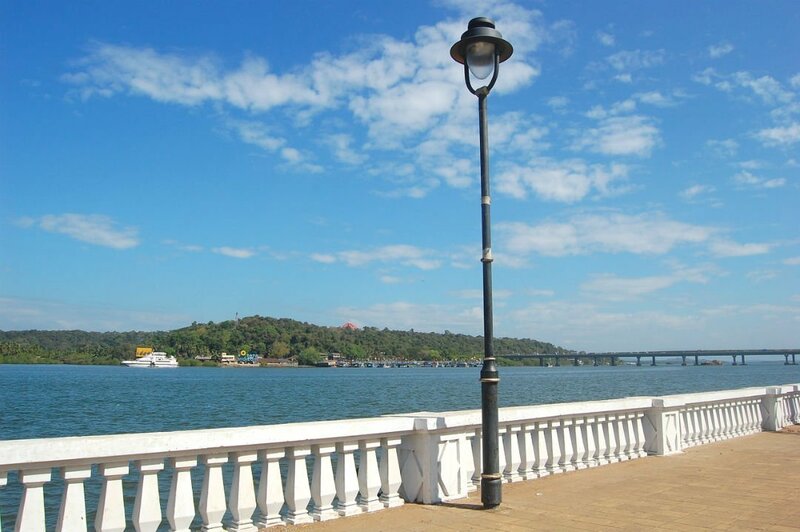 Vasco da Gama is around 4km away, while other major cities Margao and Panjim are 23km and 30km respectively. 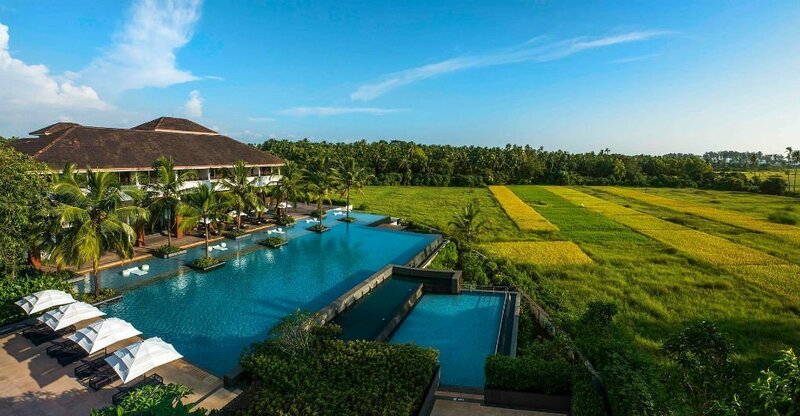 Alila Diwa Goa perfectly epitomises the idea of a luxury hotel resort in Goa. It’s located on Gonsua Beach in the south and is ideal for couples as well as families. The hotel’s unique Goan design blends modern architecture with the surrounding green paddy fields — on which the hotel’s based. Alila Diwa Goa has several types of accommodation to cater to different types of travelers. The Terrace Room can accommodate 2 adults, and comes with a king bed or twin beds. This room also has a private balcony with either a view of the paddy fields or garden. As its name suggests, the Family Suite is a good size for families with 2 adults and 2 children. As well as the regular amenities, it also comes with a living room and workspace, and a private terrace. Notable features to mention include the luxurious Spa Alila, where treatments given are inspired by the ancient traditions of Ayurveda. Children also aren’t forgotten here, as the resort has its very own kids’ spa too! A luxury hotel in Goa with its own private beach, and beachfront rooms, Caravela Beach Resort is a dream accommodation. Open your balcony door to enjoy views of the manicured lawns, or of the Arabian Sea, it depends on you. The Deluxe Suite perfectly blends contemporary living with traditional design. It comes with its very own living area, dining room, balcony, master bedroom and also luxury bathroom. Along with providing some first-class R&R, Caravela Beach Resort boasts a 9-hole golf course, spa and an Ayurvedic centre. Enjoy treatments such as couples’ massage next to the sea, and from highly trained therapists and yoga practitioners. This 5-star luxury hotel resort in the city of Panaji sits right on the beach. Rooms and suites are bright, comfortable and also generous in size. 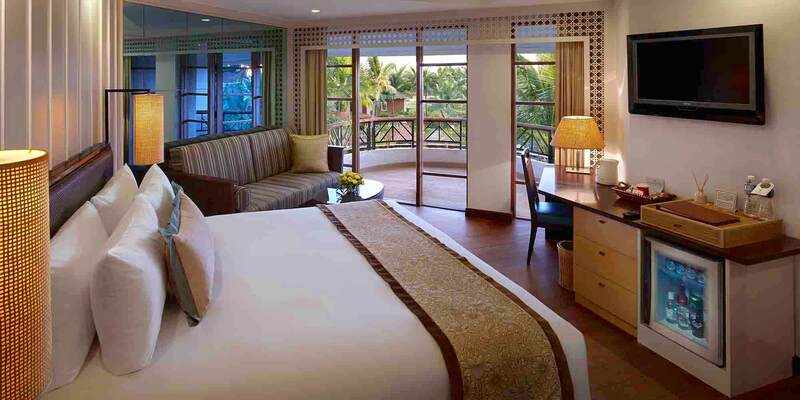 I particularly like the look of the junior suites at Cidade De Goa. They come with a king bed, all the amenities you need, and best of all a view overlooking Azure Bay. On site to also make your stay as relaxing as possible are 2 outdoor pools and a spa at Clube Saude. Indulge in a massage, facial or personal grooming. Whatever your choice, you’ll leave feeling refreshed and energized. The club also has a gym where you can practice yoga, or simply relax in the steam and sauna room. Which of these luxury hotels in Goa appeals to you? Let me know in the comments below! Disclosure: This is a collaborative post. It may contain affiliate links, which means I may receive a commission if you click a link and purchase something that I’ve recommended. Thank you for your support. These hotels look amazing! I love to stay at places like this when we travel. We’re on vacation for fun and relaxation, and that extends to our rooms! I love living a stay between the pleasure of the city I visit and a hotel full of comfort and beauty! That’s a great balance to maintain! I wouldnt know how to choose! they all look amazing! I loved the pools in the first one! That hotel looks fantastic! I’ve never been to India but it is definitely on my wish-list someday. I’ve always thought it would be amazing to visit. These destinations are beyond beautiful! Without your blog, I would never knew they existed! These are simply gorgeous! What I wouldn’t give to be able to stay at one of these hotel; a true oasis! I’m not sure I’ve ever heard of Goa before. It looks like such a beautiful place to visit! I always wanted to visit Goa! that picture of the infinity pool just make me decide Goa it’s gonna be my next trip!!!! My husband is a local from Goa, the city is beautiful especially during winters. Oh wow, how lucky are you to see this landscape! Lol it’s a stunning destination! 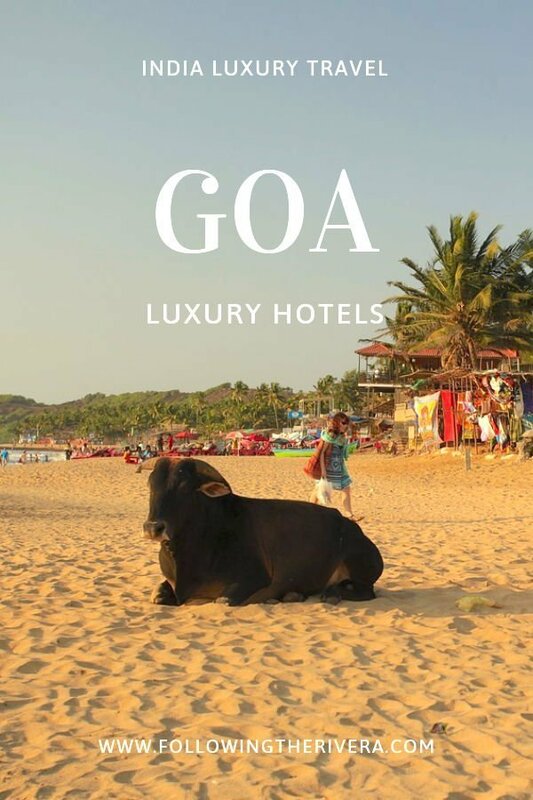 I love the photography and the review of the accommodation options in Goa. Nice reading. 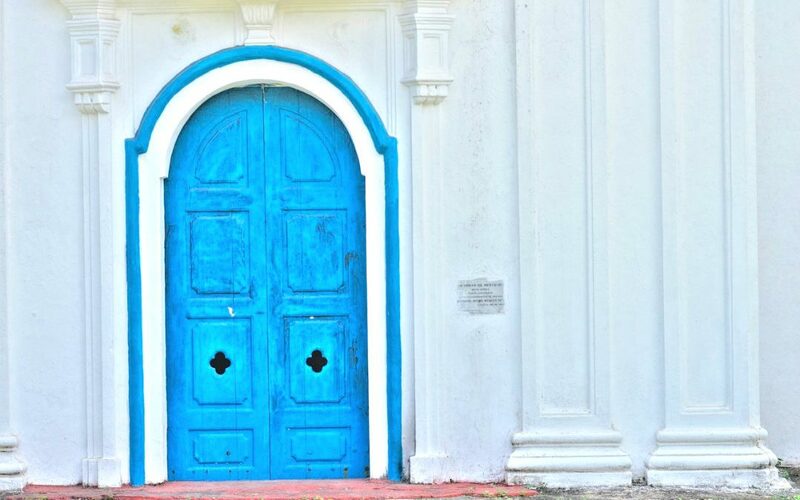 Goa looks amazing – it is definitely on my bucket list of places I need to see. I haven’t visited India yet but one of my long time friend told me a lot about that place. I wish we can have a vacation there soon. All the hotels look fantastic. I have a few friends from Goa who tell me all the time that they have great places to visit and stay. 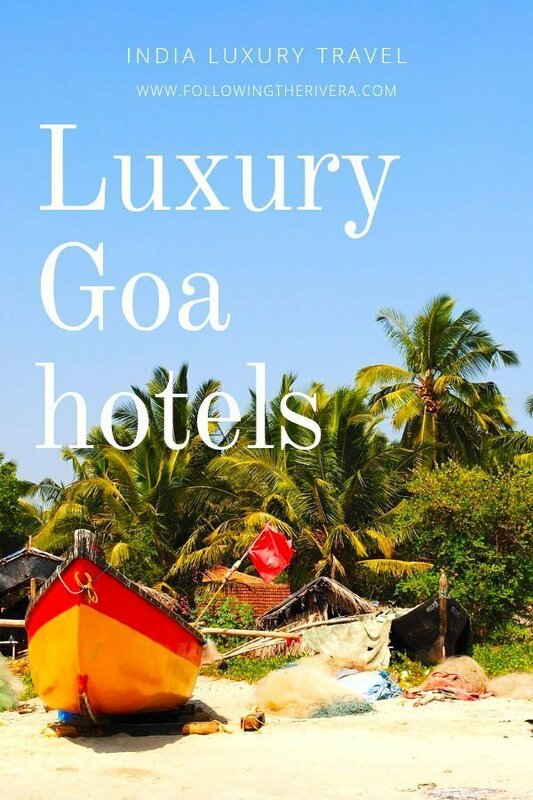 We’d love to stay in Goa nevermind stay in a luxury hotel and these look amazing!! And they’re great for families too! These hotels in Goa look like paradise! I’m afraid I would never want to leave! Oh my goodness! That place is so so beautiful and they have a fantastic view. I will save this Goa on my bucket list. Perfect, that’s great to know! I love to visit new and interesting places through other blogs. Thanks for sharing! Good to know Jim, thanks for the comment. Alila Diwa looks amazing and would certainly be my top pick. 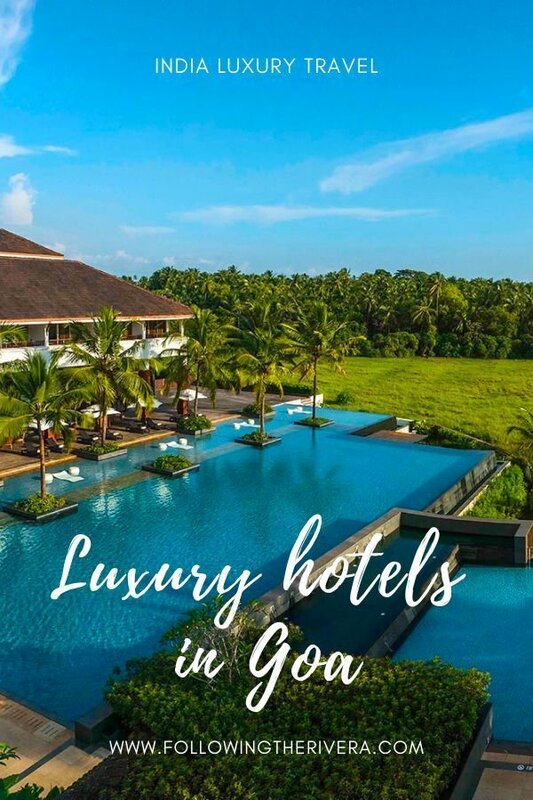 I’ve been to Goa several times but never really considered staying in a luxury hotel but I can totally see myself doing that on the next trip. That pool with the view looks so inviting! Spa with traditional Ayurvedic treatments sounds perfect! I still need to try some Ayurvedic treatments myself Medha, it sounds amazing! These locations to stay look like they would be so awesome. There are such amazing and pretty views! They are, and luxurious too!